Carry extra batteries, tanks, liquid refill as well as home and car chargers. All in one convenient sturdy hard case, with 3 pockets and double zipper. Will also fit our Gladiator Spartan Sub-Ohm Kit and Liquids. It's nice to keep everything together in. 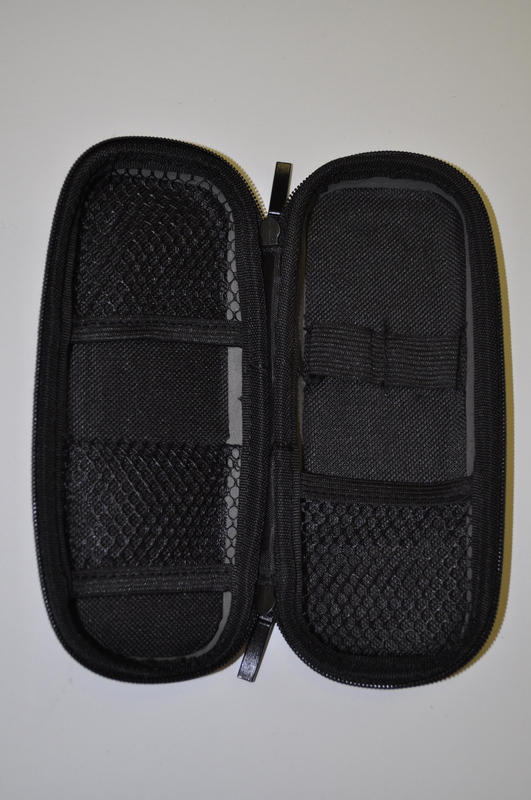 Cool Case is very handy keeping my e-cig & Charger Plus refills organized, and easy to find. I wanted to protect my investment so I bought one, Very Happy! I've tried several brands searching for one that would come closest to smoking a tobacco cigarette and find Crown 7 to be my preference. Customer service is excellent. There was a problem with my recent order and it was resolved with just one email. They went above and beyond what would have been needed to solve the error in the order.